The northern wing of two large buildings connected by a reception area. The southern wing includes a tall tower. 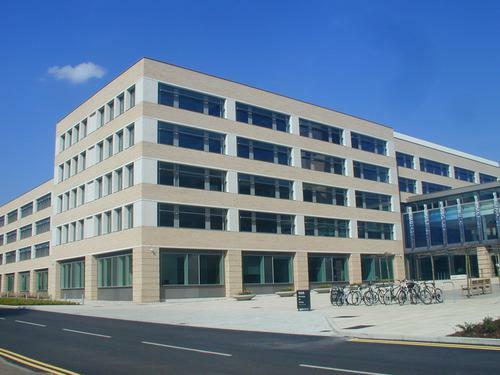 This building replaced the 1970s Cambridge University Press Edinburgh Building. In the first part of the twenty-first century, education has been a big export for the UK.